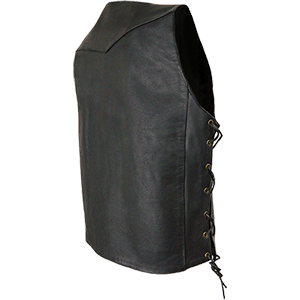 Since this is the selling point of this leather waistcoat, let’s explore the pockets first. 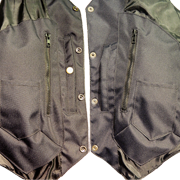 You have 4 external pockets (2 of which are zipped with quality YKK zips). 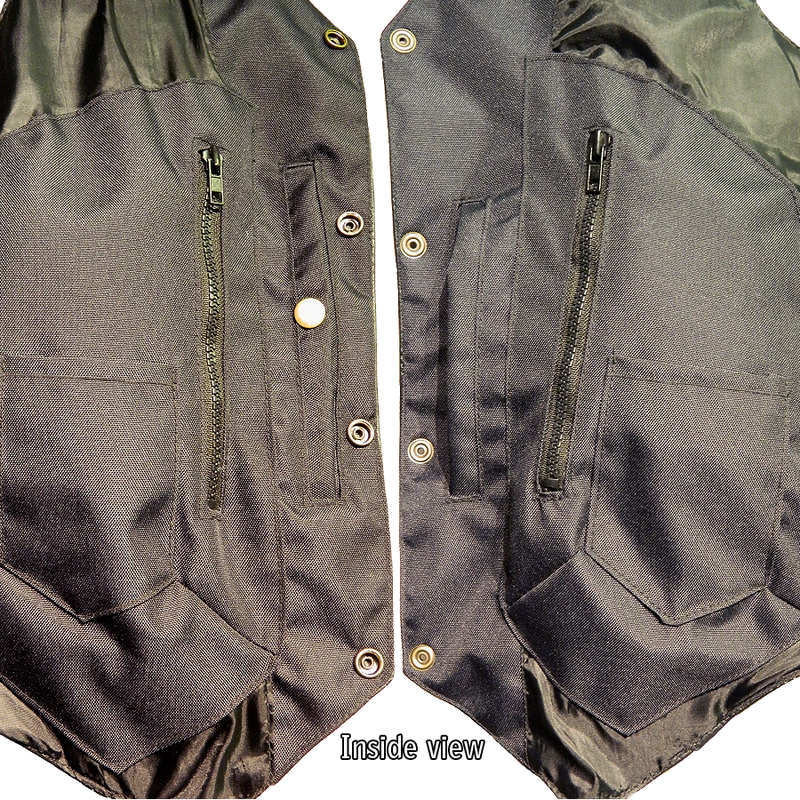 And 6 internal pockets (2 with quality YKK zips and 1 press studded). Supple black cowhide makes this cut, including the adjustable tie sides. A tie side waistcoat is ideal for those who aren’t quite sure what size to order or who want the versatility of being able to wear it over a t-shirt AND over a jacket. Just loosen or tighten the ties as necessary. Lined with soft black cotton with Polyester sections for sturdiness. “Great prompt service, I was even more impressed with the quality of the leather, with enough strong pockets to keep everything safe and sound. 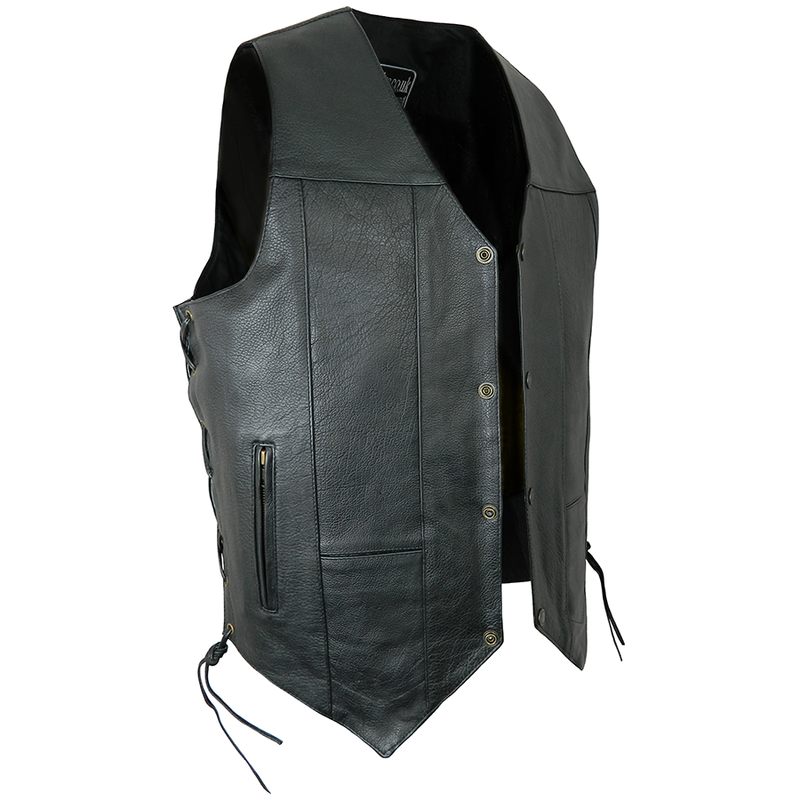 I'd come across some waistcoats at Bike shows where the leather was almost paper thin. But a friend said if I wanted good quality try Biker's Paradise... Advice I'd happily give anyone...” Derek – Croydon. “Really good quality product.10 pockets is genius. A+++++++” Brian – Preston.